Republican voter registration is 16% higher than that of the Democrats. Much like some of the other districts in Orange County this season the DTS voter registration is just 6% behind the registration of Democrats. These results show me that Steve Young is not going to be able to be competitive in November. It doesn’t help that he is a perennial candidate for office. Having lost twice previously to Congressman John Campbell in 2008 and 2006. The fundraising numbers are also indicative of what to expect in November. Walter currently has just under $265,000 in her campaign account after the primary election. Young on the other hand has just over $15,000. After a couple of my earlier posts handicapping races I got some e-mails arguing that the campaign being run can make a difference. My take on this specific race is that the OC GOP is far superior to the DPOC in terms of getting organized and turning out voters. Young simply does not have the money raised to do it on his own, which is what he would have to do. 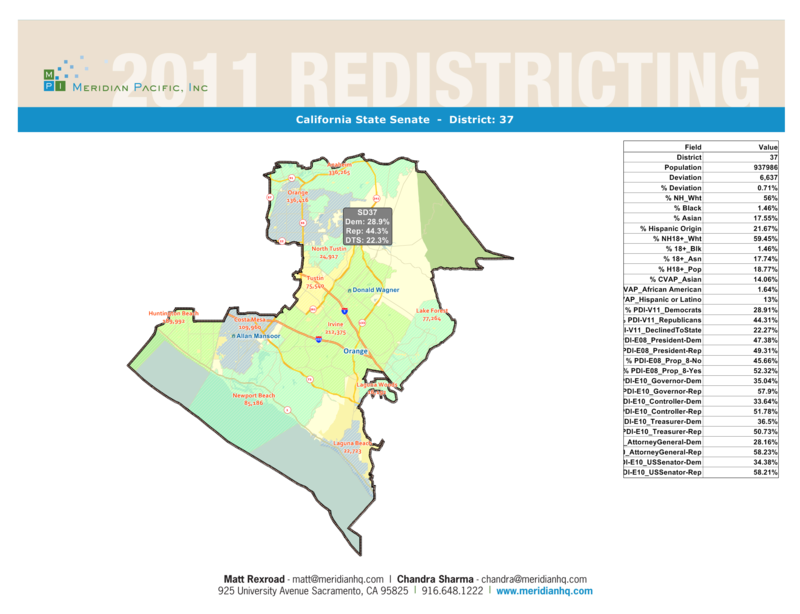 This entry was posted on September 13, 2012 at 1:04 PM	and is filed under 37th Senate District. You can follow any responses to this entry through the RSS 2.0 feed. You can leave a response, or trackback from your own site.